Attention #RecordStoreDay fans! Both of our shops are open 8am to 8pm Saturday April 13th and we'll have HUNDREDS of RSD exclusive releases on hand, raffles and giveaways! We tend to get better fill on some crucial titles than the big shops so make sure you swing by here first! First; we've got a test pressing for the Green Day "Woodstock 1994" LP to raffle off. All you have to do to enter is buy a copy of the regular Woodstock LP from us and we'll pick a winner Monday the 15th! It is currently not autographed by anyone but we're hoping to get that changed before RSD. THIRDLY! ; The first 100 people in line in at either location will be signed up for a raffle to win a $100 gift certificate. Winners will be contacted Monday the 15th. Oh and of course the first person in line at either location gets 5 minutes in the shop alone from 7:55am to 8am! Leftovers will be up at http://1234gorecords.com/recordstoreday at 5am EST on Sunday the 14th. We are now running this out of a squarespace store instead of our janky old webstore so you can use credit cards or paypal if you like. We tested this out on Black Friday and it worked like a dream. Processing time on the orders was greatly reduced as well so we're faster than ever! Rules of the mail order road, please and thank you. 1. Please try to condense everything you want in to one order. We can try to combine orders if you place two but we may also miss it because we're processing hundreds of orders in a very short amount of time. 2. PLEEEEEEEASE don't place an order, freak out that you might not get something, order from some place else and then cancel with us. That's such a bummer. The inventory in our store should be accurate. If it's still up in the store, we still have stock. If we experience an oversell on something we will be in touch ASAP but that didn't happen more than a handful of times last year out of hundreds of orders. 3. If you have questions about an order, Please email orders@1234gorecords.com We won't be doing customer service stuff in this thread or even checking it that often as we'll be working like crazy to get your orders out in a timely manner. Finally, Know we love you and are working very hard to get your orders out as quickly as possible. Also know that it's two people working on this and we aren't Amazon so while it will go quickly it won't be same day shipping. Last year I think we got everything out withing 5 or 6 days total. You will recieve an email from us when your order ships with your tracking info in it the second it ships. Squarespace and our shipping software are really great about this. Overall we've got a pretty great reputation around these parts for the most part I think so don't be scurred. We're going to take care of you and it's going to be great. Thanks everyone! You guys really make the dream work for us post RSD and it's greatly appreciated! SWMRS will be playing live and signing their new album “Berkeley’s On Fire” here at 1-2-3-4 Go! on Saturday February 16th! The only way to attend is to pre-order a copy with us by CLICKING HERE. Click that link for more info and to order now! GIFT CERTIFICATES ARE NOW AVAILABLE FOR PURCHASE ONLINE! Want to give the gift of music this year but don’t quite know what to get the music lover in your life or live outside of the area? We have you covered! Check out the Mail Order section above and we’ll ship it anywhere you like! Gift Certificates are accepted at both of our stores in the bay area! 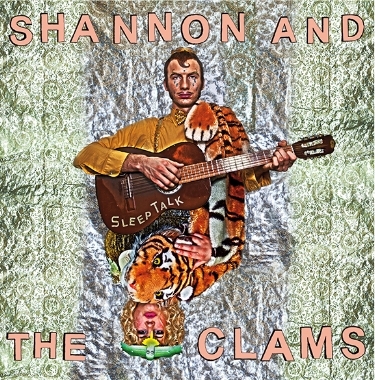 The absolute stone cold classic Shannon and the Clams second album “Sleep Talk” is back in print on RED vinyl for a limited time only. Order your copy today by clicking HERE! BLACK FRIDAY (aka RECORD STORE DAY PART II) @ 1-2-3-4 GO! Friday November 23rd we’ll be open from 8am to 8pm with TONS of RSD exclusive releases on hand and more to be announced soon! Check out the full list of releases coming out HERE and let us know which you’re most looking forward to! John Doe LIVE @ 1-2-3-4 Go! on Small Business Saturday! 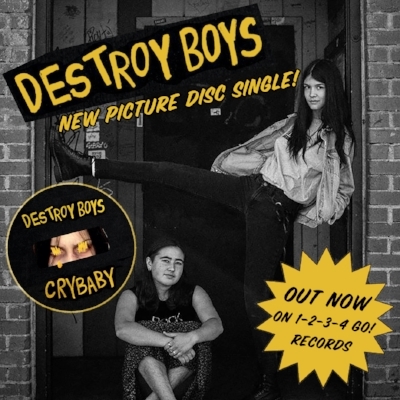 We have a limited supply of this very popular picture disc 7" in stock now! These had previously only been available at shows. Score a copy now before they're gone for good by CLICKING HERE!